WHIRRRRRR. Is that the sound you get when you enter your bathroom? It doesn’t need to be. 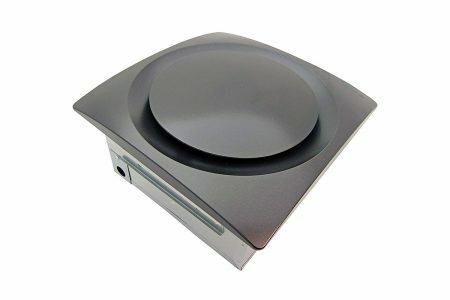 Check out these super quiet bathroom extractor fans, and start answering nature’s call in the silence of a calm forest. (Beautiful trees and cute forest animals not included). Jokes aside, bathroom extractor fans are a bit of an outlier in appliances. With the top models, you are paying a lot of money to not notice something. Who would ever want to pay for something they can’t show off? A smart homeowner like you would, of course! A quiet extractor fan may not be noticeable, but the calmness of your bathroom sure will be. Friends tend to realize there’s something different but can’t quite put their finger on it. That’s the quality of your fan. Each of these models are solid buys, and I’ve no hesitation in recommending them to you. If you’re not sure what model is best, there’s also a quick ‘buyer’s guide’ after the reviews. I cover all the important features to look out for. How quiet are we talking, exactly? 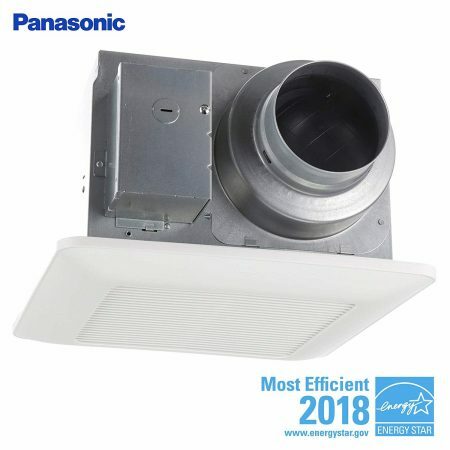 These extractor fans are rated by volume using ‘sones’. Sones are simply “a unit of loudness”. From the table, a half a sone maximum would be a sweet deal. With that in mind, I’ve made sure all the extractor fans I recommend are rated 1.5 sones or below. Think about what else might be important to you, and it’ll be easier to find the model which will make you the happiest. Panasonic’s ‘Smart Flow’ technology. This monitors the pressure in the system, and can speed up or slow down the fan depending on the humidity/mold in the air. This means you don’t need to worry about finding the right speed – the fan will do it for you. -	Rated at less than 0.3 sones for all speeds -	Large height (8.5”). 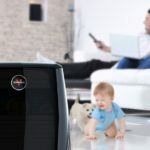 Panasonic have always been known as producers of great appliances, and it comes as no surprise that their WhisperCeiling range is top of Amazon’s sales charts. With one of the quietest ratings on the market, combined with solid power and ease of installation – this appliance is a fantastic all-rounder which would be right at home in any modern bathroom. I’ve got no hesistation in recommending it to you. Panasonic have even gone one better. The crazy 6-year warranty on the fan motor blows the competition away. That should give anyone plenty in peace of mind while sitting on the john in a calm bathroom! 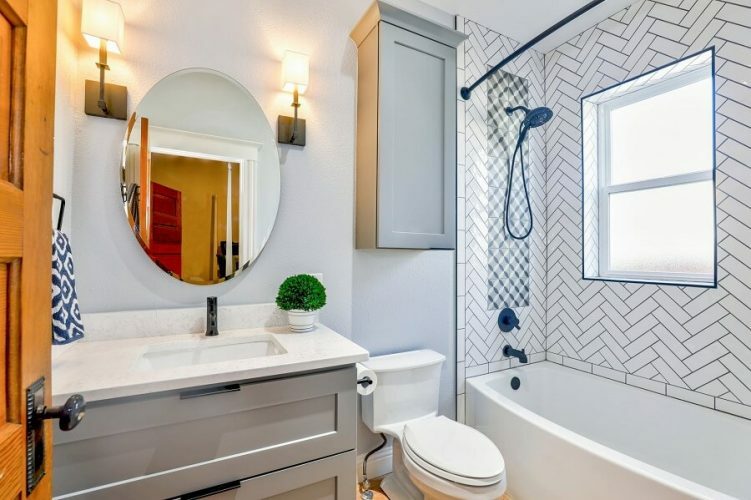 If you’re lucky enough to have a large bathroom, one price you pay is needing more power in your fan. Thankfully, that doesn’t mean you need a foghorn in your ceiling. This Tastsumaki fan provides a great balance of power and quiet. Although it’s the loudest model on this list, these recommendations are hand-picked for quietness. At 1.2 Sones, it’s likely to be around the level of a fairly relaxed conversation. Not bad for something that can cover 120 sq. ft. of bathroom! Besides the technical stats, this model comes with a certified 2 year warranty and a seriously good price tag. The company is foreign, which means you’ll save a buck. Don’t worry, though. The only affected aspect is really the manual. It’s a bit tricky to read, but it’s not hieroglyphics! This fan is a great option for anyone needing power. It’s the best model I can find that packs power but doesn’t sound like a jet engine. At 120CFM and 1.2 Sones, I think it’s a great ‘best of both worlds’. The build quality is also solid, as is the 2-year warranty. That said, I wouldn’t recommend it above the Panasonic if you’re really looking for silence. 1.2 Sones will still be noticeable. I just wanted to include it for those lucky enough to have 120+ square foot spaces! However, that isn’t the case here. Not only does this fan look great, it’s quality is absolutely solid too. In fact, Aero Pure are matching Panasonic’s warranty of 6 years on this range. (Though there is a catch – the fan needs to be installed by a pro). At 120CFM and with a rating under 1 Sone it’s just good news after good news – this fan ticks all of the major boxes of a capable fan. Plus, it’s Energy Star certified. In fact, there’s almost no red flags about this model – except the price. I can’t put exact prices (they may change after writing), but at the time of writing this is a good $40 above Panasonic’s flagship model. That said, it’s even stronger and matches the 120CFM of my ‘most-powerful’ recommendation – only missing out that spot because it’s price. This model is honestly an ultimate bathroom extractor fan. It’s quiet, powerful, and looks incredible. If budget is no issue, this may be the absolute hands down best model. However, I couldn’t put it top since a) it’s a bit louder than Panasonic’s at 0.9 Sones, and b) it’s out of most people’s budget. That said if you value looks over a great-value price tag, I’d give this one some serious thought. If you’re looking for value, you can’t go wrong with this Ultra-Quiet model from BV. At 90CFM and 0.8 Sone, it’s not too strong or stealthy. But if you have a small space and want to get great bang for your buck – BV have listed this at a great price. And just because it’s cheap, doesn’t mean it’s bad. At 4.5 stars after over 350 reviews, customer satisfaction is just as good as the other models. It’s a rare opportunity to find a cheap appliance that’s still worth the cost. 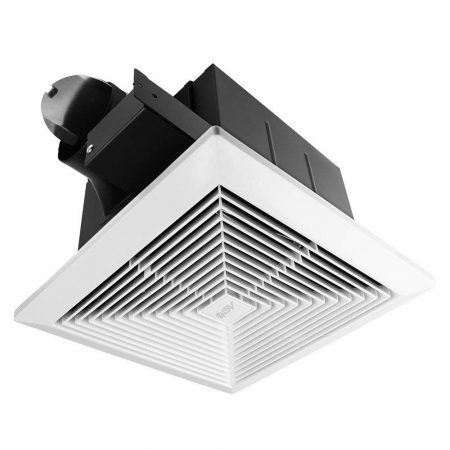 With a much lower price tag than the competition, this quiet extractor fan is a great option. If you’ve got a smaller bathroom and don’t take super steamy showers it’s an ideal choice within budget. 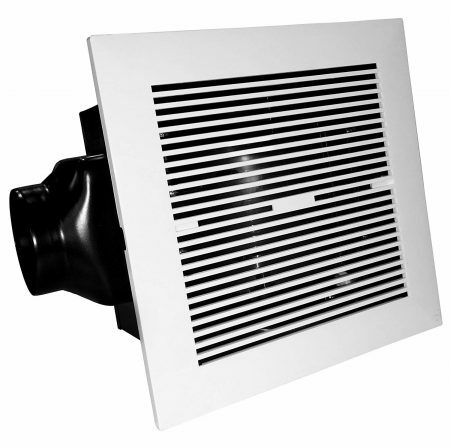 Bathroom extractor fans are one of those hidden appliances that can make or break a bathroom. There’s nothing worse than your quiet time being ruined by a horrible machine-like sound the whole time! I hope that one of these quiet bathroom extractor fans has jumped out at you. After the hours of research, I’m confident any one of these fans would be right at home in your bathroom.